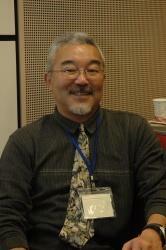 Hiroshi Fukurai is Professor of Sociology and Legal Studies at the University of California, Santa Cruz. He won the UCSC Service Recognition Award in 2015 and 2016 and the Chancellor’s Achievement Award for Diversity in 2014. He was nominated for Excellence in Teaching Award in 2012 and selected as the Favorite Faculty by Stevenson College graduating students in 2013. His expertise includes citizen participation in the justice system, international law, race and inequality, East Asian law and politics, and military and justice. Professor Fukurai also teaches advanced quantitative methods and survey and field research. His research intersects with other substantive areas such as social movements, environmental justice, indigenous knowledge, labor history, and the role of international organizations. He was voted to be President of Asian Law and Society Association (ALSA) for 2018-2020. He has more than 100 publications including scholarly articles, law reviews, op-ed pieces, magazine articles, and books. He was voted into a Law and Society Association (LSA) Board of Trustee in 2010, served on a LSA editorial board of Law and Society Review, helped co-organize the East Asian Law and Society CRN, the Inaugural East Asian Law and Society Conference in Hong Kong in 2010, the Second Conference in Seoul, Korea in 2011, the Third Conference in Shanghai, China in 2013, and the Fourth Conference in Tokyo, Japan in 2015. He currently serves as a co-editor of a book volume on civil jury trials that took place in Okinawa from 1964 to 1972, and two original books on the socio-theoretical approach to the popular jury and the historical genealogy of Japan’s grand jury system. He is an inaugural member of the new Asian Law and Society Association (ALSA) and serves on the editorial board of its journal, Asian Journal of Law & Society (Cambridge U. Press).